Oh, really? What's going on with RIMM and AT&T? This morning Barron's Tech Trader Daily blog noted that AT&T has cut the price of the new BlackBerry Torch to $99.99 down from $199.99. A 2-year service agreement is required. The BlackBerry Torch was introduced back on August 3. 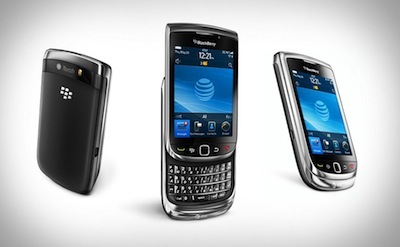 The Torch, you will recall, looks like a second cousin for HP's Palm Pre smartphone that was released back in mid-2009. Those interested in the Torch, and yes, it is available in red, should head over to the AT&T Wireless website. 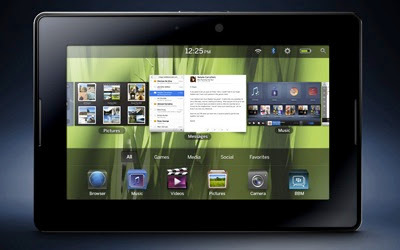 Research in Motion Co-CEO Jim Balsillie also has been reported as saying that the Berry-themed tablet, the BlackBerry PlayBook will go on sale at Target and Best Buy retail locations and that the device, when it does become available in early 2011, will sell for less than $500. The cheapest non-3G, Wi-Fi only Apple iPad starts at $499. The price cut on the Torch, while unexpected by me, isn't too surprising. Interest in the new slider BlackBerry hasn't exactly lit the fire that RIM was hoping for. As for pricing the PlayBook below the Wi-Fi Apple iPad's $499 price tag, well, I think that anyone releasing a table in the next 12 months is looking for something, anything, that might resonate with consumers and get them to purchase their product verses and iPad.